I'm fairly new at this but I have to say the construction on c a o cigars are some of the best I have seen no matter what . Always smoke Padron 4000 Maduro OR Romeo 505 Toro. You can never go wrong with either one. The first third was a pepper bomb, lots of spice. It mellowed out a little. Burn required about 5 touch ups. second third was more of the same. This was not my smoke .......strong nicotine. Man that's disappointing. 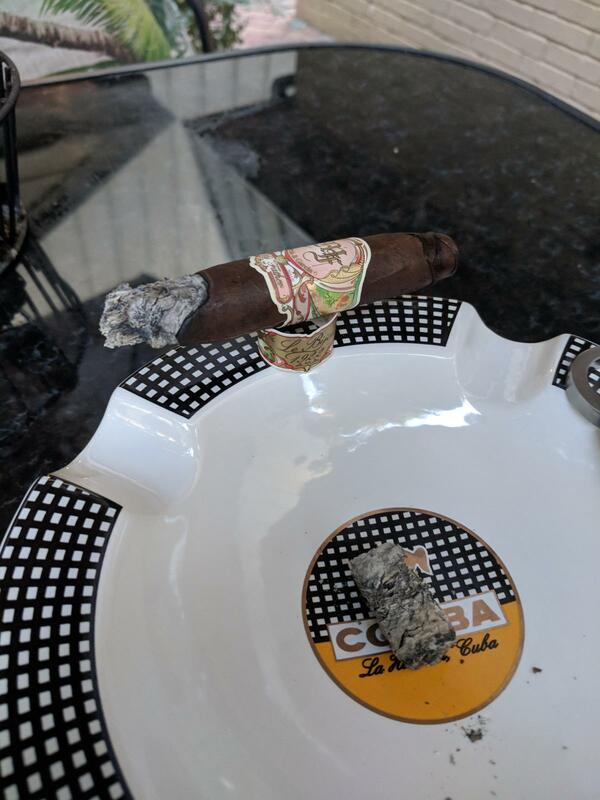 This is one of my favorite non Cuban smokes I've ever had. 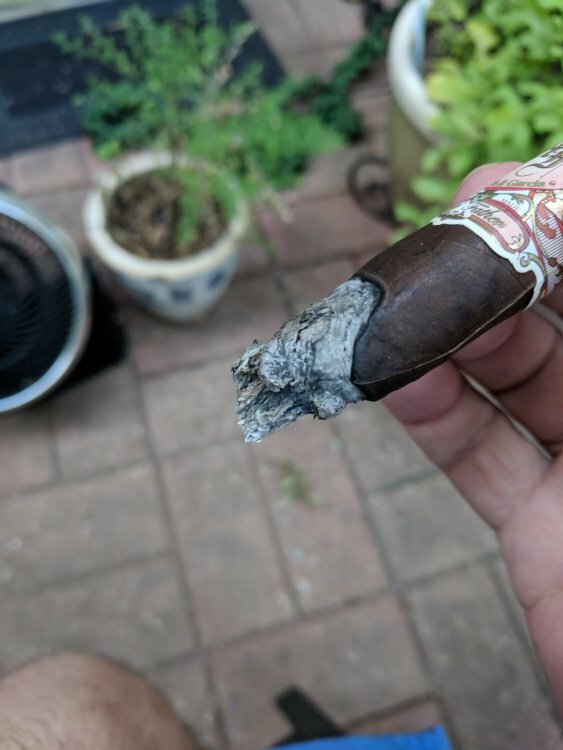 I keep a review notebook of every cigar I've smoked and if you turned to the Le Bijou page this is exactly what my experience with this stick was! Too much pepper, too strong, too hard to keep lit. 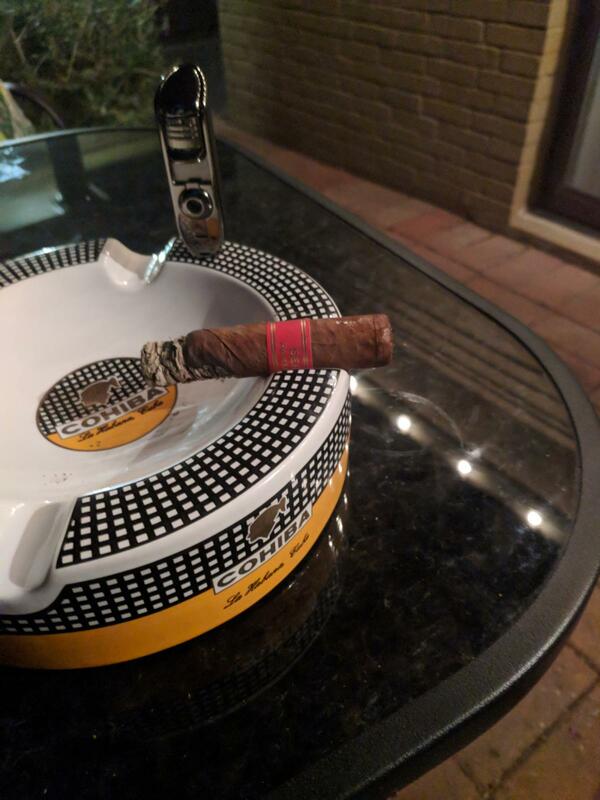 MF makes some great cigars, but IMHO this aint one of them. another poor experience tonight, will start with the Cubans tomorrow, just a run of bad luck. I won't buy anything else until I figure out what is going on, cheers! 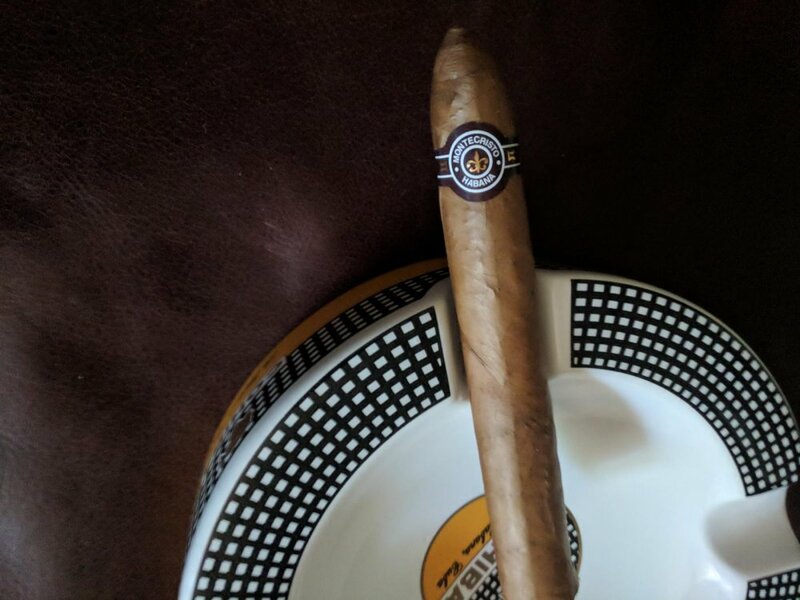 I used to like the Kuba Kuba cigars, when first smoked, I can not stand flavored cigars now, I threw them away, lesson learned! 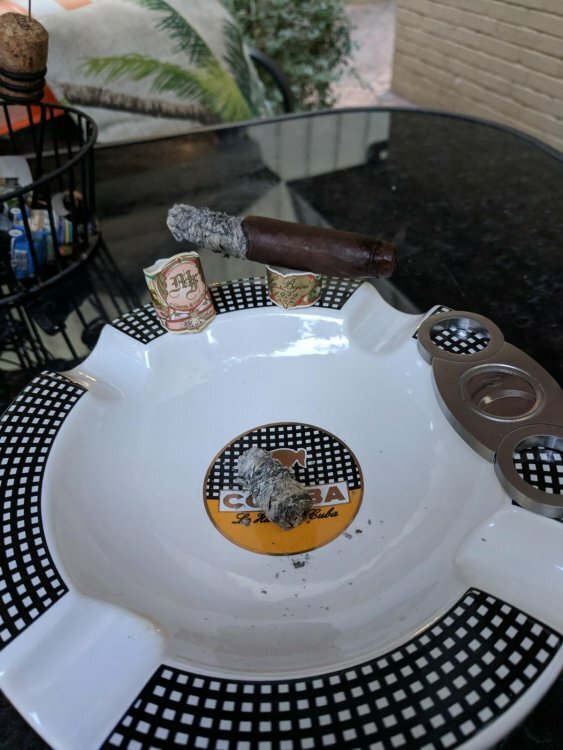 It took a couple hundred dollars to figure out what I liked in cigars and a bunch of research, but it has been a fun trip! Trial and error is what helps you figure that out. 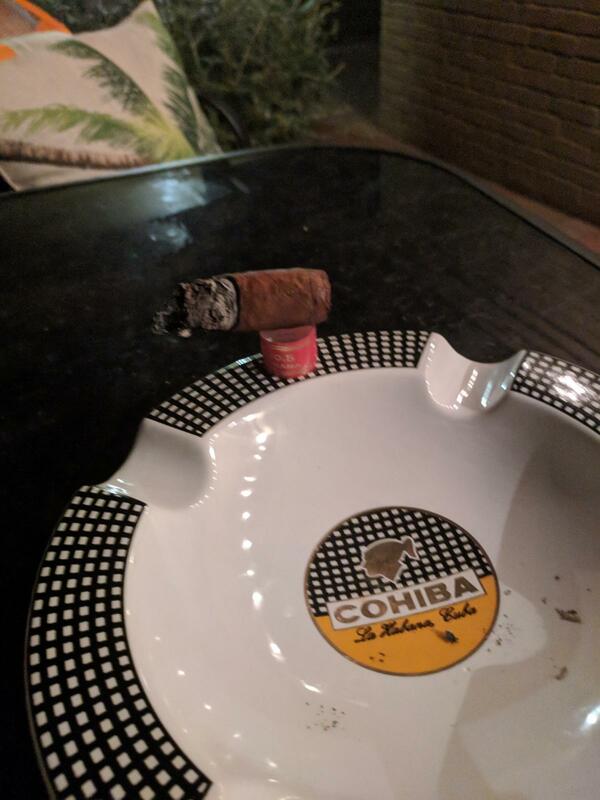 I still love Kubas a lot but my go to is a Cohiba red dot. Arturo Fuente Hemingway Short Story Maduro redeemed my faith in Dominican 's, great burn even if it was one dimensional. 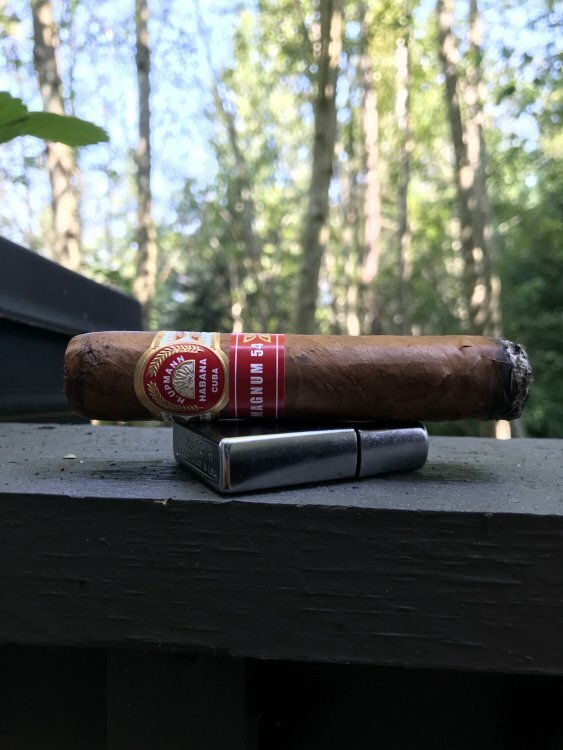 I like a few changes in flavor that the few cuban's I have smoked offered, none the less, better experience. Hope y'all are having a good round and a good weekend! Looks as though Jordan could be the man in Scotland, we shall see, I love links golf! Had a Ramon Bueso Genesis Project while playing today. Not a fan. Had a very bitter taste and left an almost waxy flavor to my tongue. 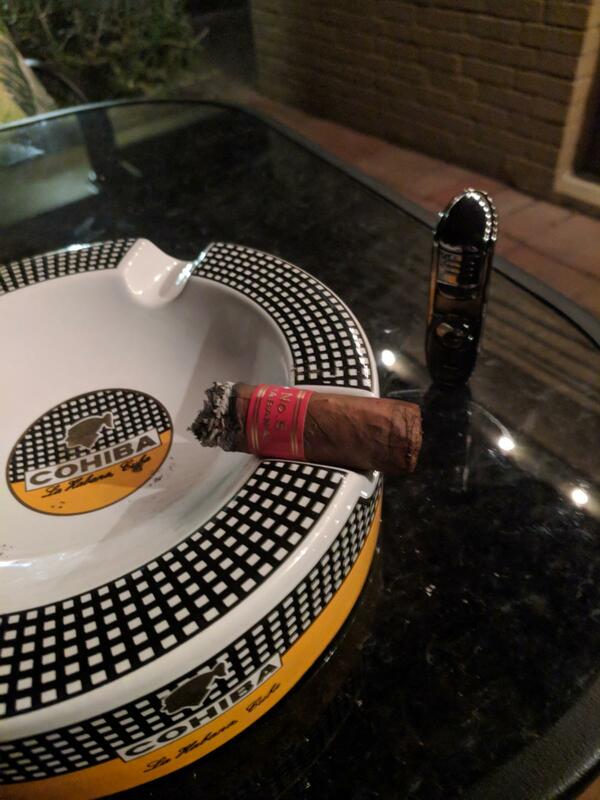 Partagas Series D #5 it really is a good smoke but it's first third, compared to the Montecristo number 2 and the Hoya Epicure Deluxe it is stronger,.It's a peppery Cuban but the draw and burn is okay on the first third . This is just the first third so I'll work my way down to the second. The burn is starting to get a little wayward on a second third. I had to correct the burn, no big deal. Damn I just lost the ash on my lap but it was a really good one inch ash.The second third is definitely calmed down on the pepper spice and it's more of a creamy taste. It's just missing some of the complexities of the Montecristo and the Hoya Epicure DeLuxe. The last third is definitely some rich and creamy smoke though heavy smoke. I may be smoking a little fast. Definitely starting to get a little nicotine hit on the last third. Starting to get a little hot this is where I'm going to end it.I had to correct the burn for the third time but is still a very enjoyable smoke. I'm looking forward to giving this cigar little more time in the humidor just to see how it ages. Nice write up. I smoke a lot of cigars and some burn at different rates throughout the cigar and some give me that light headed feeling that others do not. It may not be that you're smoking it fast it may just be the tobacco that is used in the cigar. IMHO, its a mass produced dud!